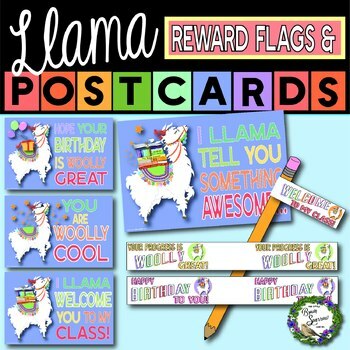 Printable llama postcards to match your classroom's llama theme! 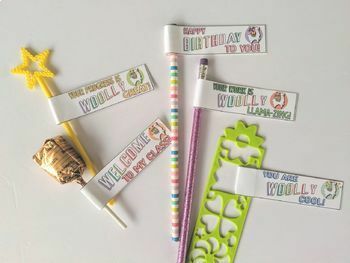 These postcards are just right for celebrating birthdays, welcoming your class back to school, recognizing special students, or sending home a positive parent note! 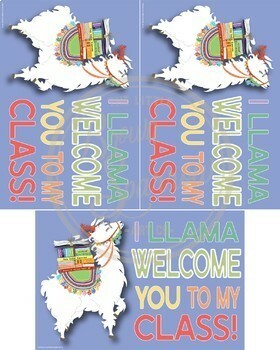 "I llama welcome you to my class!" "Hope your birthday is woolly great! "I llama tell you something awesome..."
* For optimal printing results, please use the "Best" print setting on your printer. Don't hesitate to contact me with any questions regarding my resources! Providing you with the highest quality, error-free products is my number one priority. If you would like to be kept up-to-date as I add to my shop, you can find me on Instagram at @sparrowartco or follow my shop on TpT! If you like this resource, please take a moment to check out my other listings! All About Clouds Science Mini-Unit: It's a Bird! It's a Plane! It's a... Cloud? Thank you for you interest in my shop! **This resource is for personal and classroom use only. No commercial license is included. All artwork is original and created by The Little Brown Sparrow Art Co.